1 Bedroom Flat For Sale in Glasgow for Offers Over £149,000. 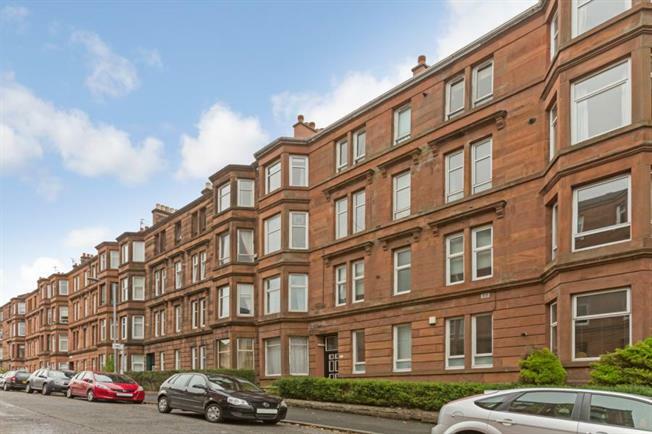 A stunning traditional red sandstone second floor flat located within the popular Thornwood district of Glasgows West End. This property has been upgraded to the highest of standards, as only early viewing will show. The original layout has been enhanced with quality oak flooring to the reception hall, this continues into a bright bay windowed lounge. The superb fitted dining kitchen has a range of base and wall units with complimentary worktops and integrated appliances, a dining recess provides ample space for table and chairs. A generous double bedroom and a luxury refitted bathroom, that has a four piece white suite with shower enclosure, bath, w/c and wash hand basin and is complimented by fabulous wall and floor tiling. The home is warmed by newly installed gas central heating and has double glazed windows. Local amenities are available nearby on Crow Road, Dumbarton Road and Byres Road offering a wide selection of bars, bistros, restaurants, supermarkets and retail shopping as well as local railway stations, underground and motorway networks.